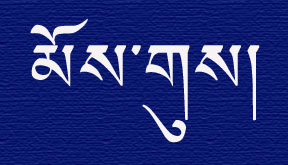 In the Tibetan language, the word for ‘devotion’ is ‘mo gu‘. Posted on October 21, 2013, in Tibetan Language, Uncategorized and tagged spirituality, tibet, Tibetan Language, yungdrung bon. Bookmark the permalink. Leave a comment.